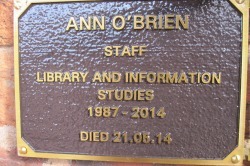 Dr. Ann O’Brien died suddenly of a heart attack at her desk while working late – as she often did – at Loughborough University in the U.K. Much beloved by her students and international circle of friends and colleagues, Ann parlayed her expertise in cataloging and metadata to knowledge organization writ large, in visual images, Twitter feeds, intelligence work, and well beyond. 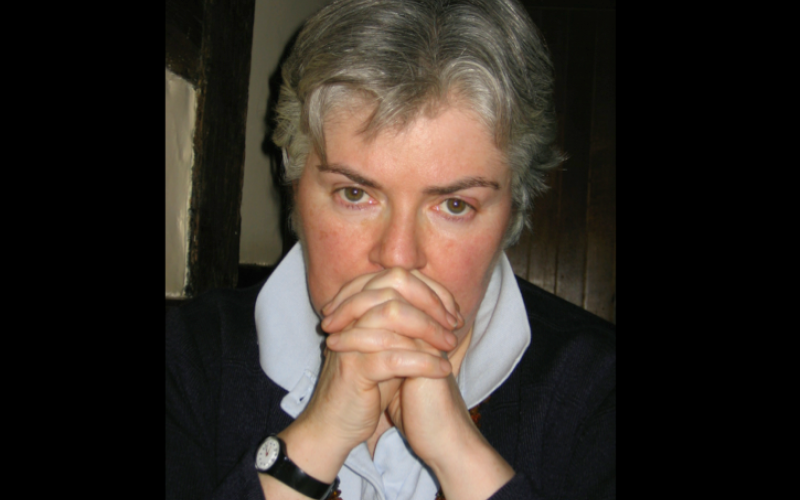 She taught courses in these topics, in information retrieval, information architecture, subject analysis, taxonomies, ontologies, and related topics. Her many students are scattered around the world. 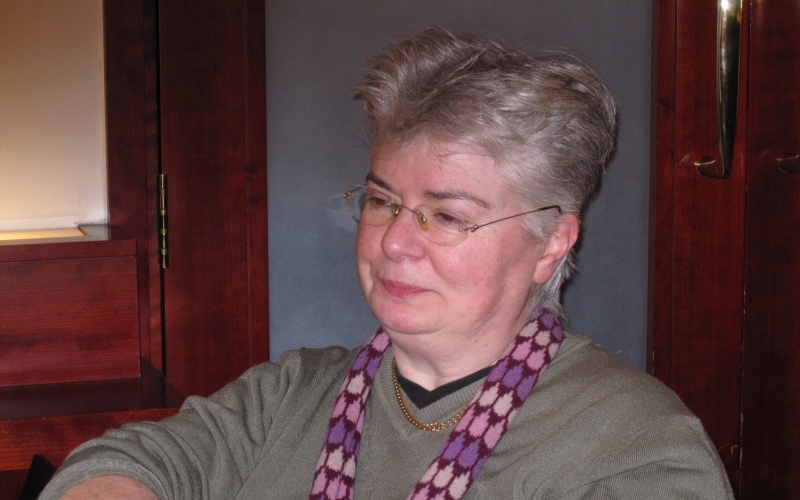 Her bibliography includes publications in a wide range of journals and venues in library and information science. Fluent in French, she also gave occasional lectures in France. 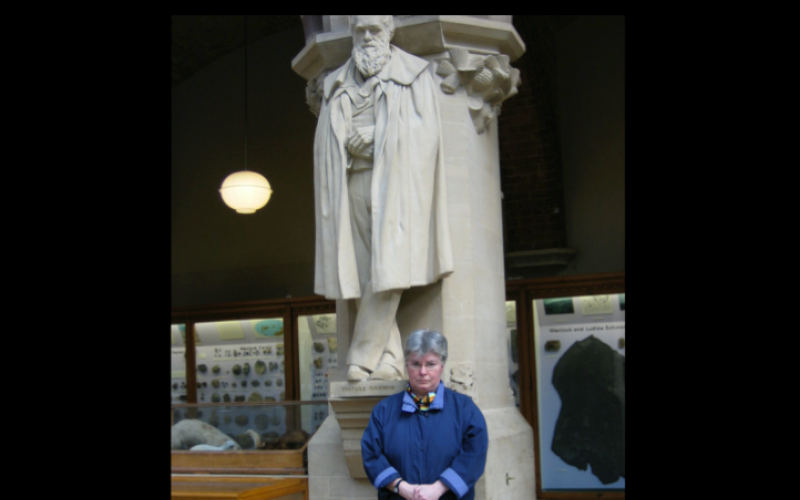 She earned her undergraduate and doctoral degrees at University College Dublin, where she also worked in the library. 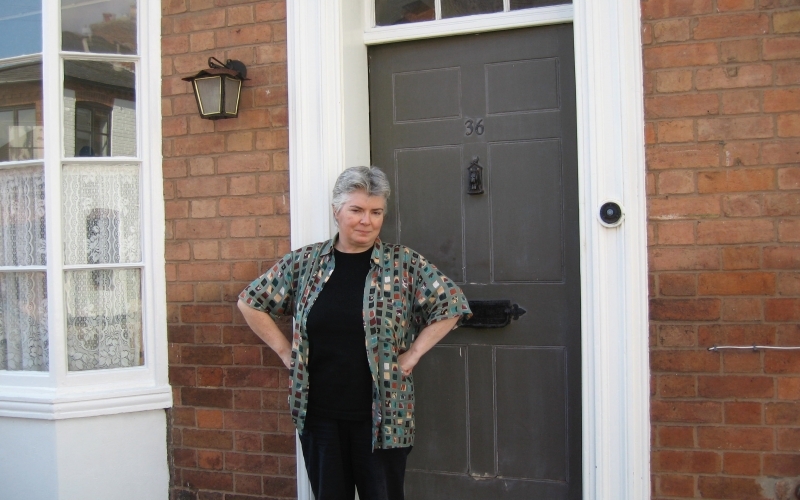 Prior to Loughborough, she taught at Northumbria University in Newcastle and at University College Dublin. Ann’s expertise in theatre and music rivaled her professional talents. 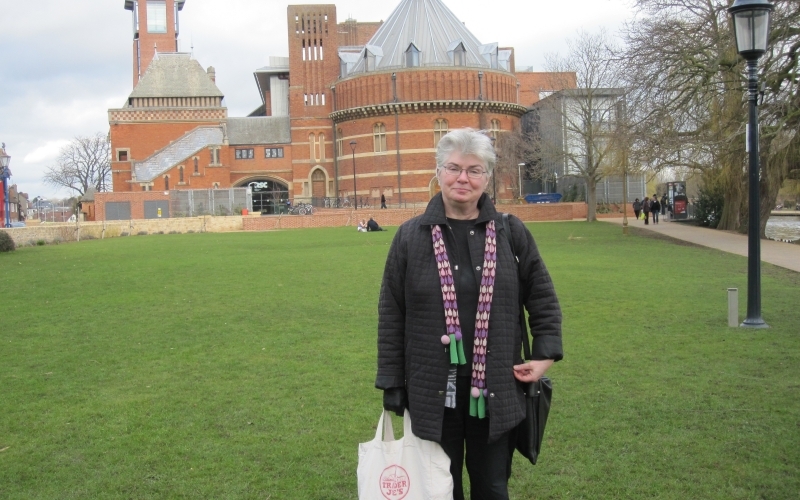 In the mid-1990s, she moved to Stratford-upon-Avon so that she could see every Royal Shakespeare Company production multiple times, commuting to work in Loughborough, about 50 miles away in the East Midlands. She often attended musical and theatrical events in London, Oxford, and at festivals throughout the U.K. Her friends enjoyed discussing plays and music with her as much as they enjoyed the performances. Ann taught in the U.S. on several occasions, most often at UCLA, with which Loughborough had a sister-school relationship. In 1990, she traded places with Christine Borgman for an academic term, swapping courses, offices, homes, cars, and families. Ann left an indelible impression on students and colleagues at UCLA, where she was planning a return sabbatical for part of the 2014-15 academic year. 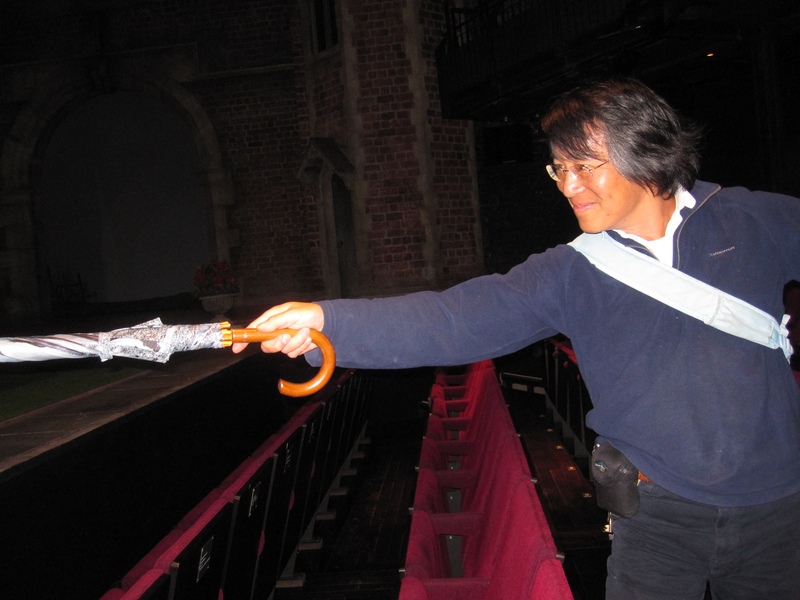 She had a profound influence on Prof. Borgman’s intellectual thinking about knowledge organization – and about theatre, music, and a life well lived, if much too short. She was 63. Funeral Services were held in Dublin, Ireland, her family home, on 7 June 2014. Memorial events at Loughborough University on 17 October 2014 included the dedication of a plaque in the university garden, a luncheon, and public tributes. Slides from Prof. Borgman’s tribute are posted here. 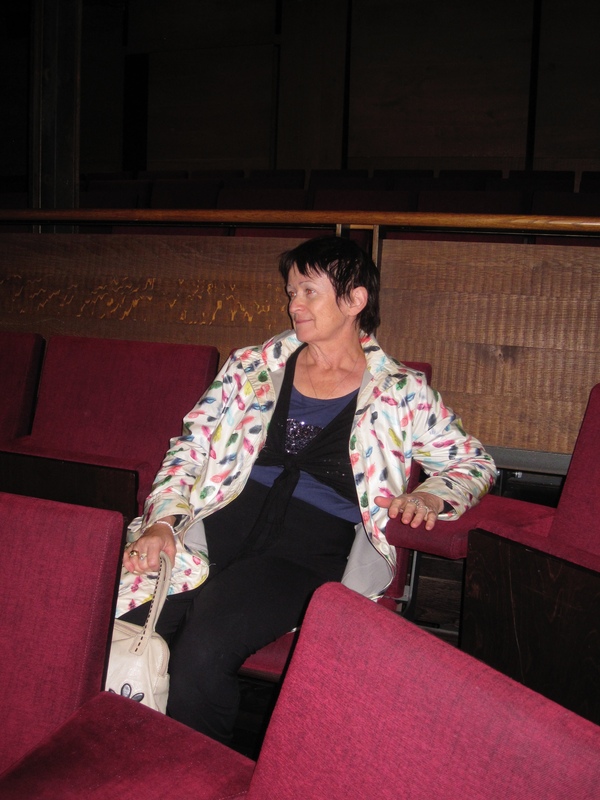 On 18 October 2014, family and close friends dedicated a seat to her at the Royal Shakespeare Theatre, with her favorite view of the stage. 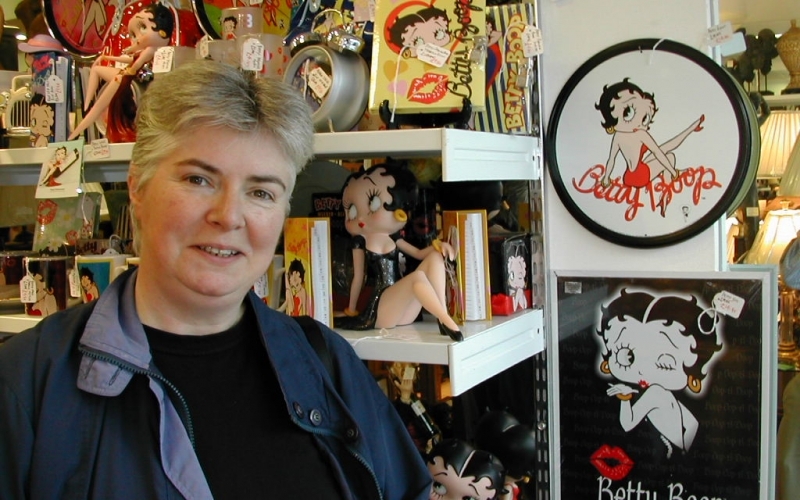 To contribute to the Ann O’Brien Memorial Scholarship funds, or to contribute to the memory book, please contact Graham Matthews at Loughborough University. 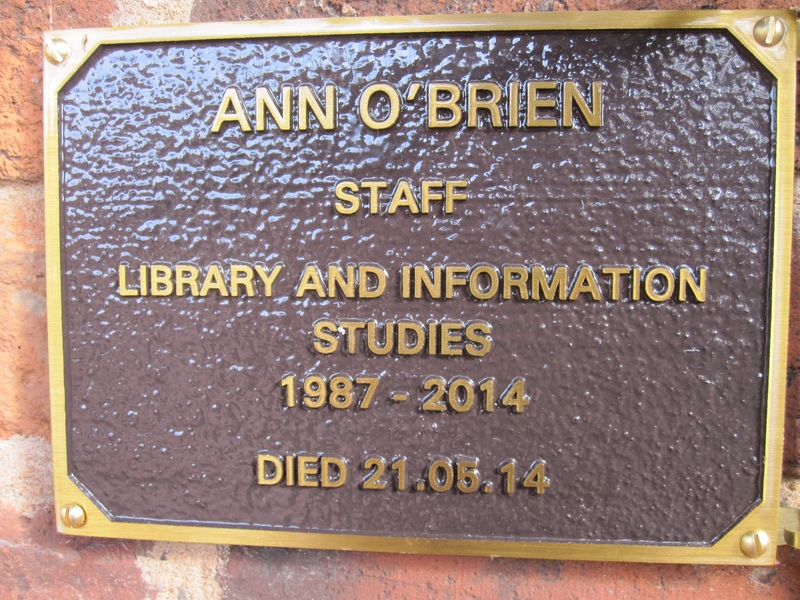 To reserve Ann O’Brien’s memorial seat at the RSC, request seat D13 when booking for a performance (several months notice is advised). Click here for more information and to buy tickets. 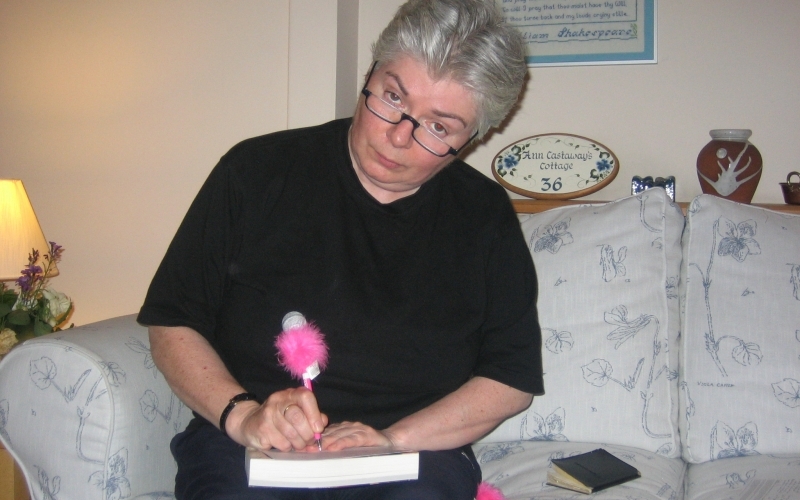 A bibliography of Ann O’Brien’s publications is available as a PDF document and as a public Zotero folder. Camille Mathieu and Christine Borgman compiled the bibliography based on a list provided by Loughborough University. Please click here to submit any other items to be included to Prof. Borgman. Death Announcement, Loughborough University, May 2014. Memorial Announcement posted by EUCLID: European Association of Library & Information Science Education and Research, May 2014.